Black tea is the most consumed tea all over the world. It comes from the same plant family as the popular Green or Oolong Tea. The main difference between this different types of tea is level of oxidation in the plants. Black Teas are left on the vine for the longest time before they are picked so they have almost more oxidation then others and also due to this sometimes have a slight bitter taste. 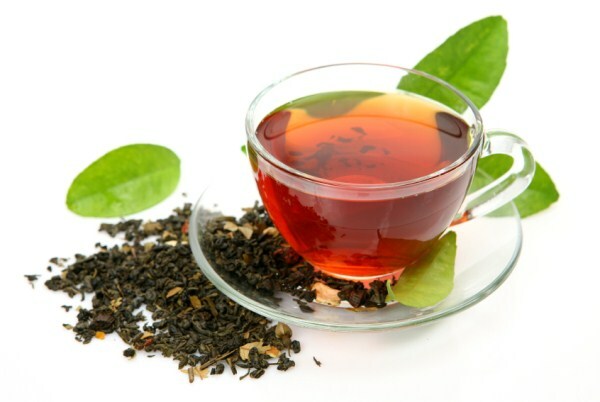 Let’s see some of the amazing health benefits of black tea here on this page. If youre trying to lose weight, sipping on black tea might help. Researchers from the University of California report that black tea could produce healthy gut bacteria and even boost your metabolism. The findings showed that chemicals found in black tea — called polyphenols — alters energy metabolism in the liver by changing gut metabolites. Most importantly, if you drink black tea at breakfast, you’ll keep burning calories all day long. black teas have the highest level of caffeine of all the teas. this can give a nice jolt and sometimes additional alertness. It has also been known to decrease stress to a great extent. This tea is rich source of abundant tannins and certain chemicals that have a positive, relaxing and soothing effect on the digestive system of human body. It also has an anti-inflammatory property which is effective in curing the digestive disorders. One of the most important advantages of black tea is that it contains antioxidant features, due to the presence of polyphenols. Thus it is good for cardiovascular health. This tea is rich source of antioxidants such as flavonoids, which are usually beneficial in preventing the oxidation of LDL cholesterol, thus preventing the damage in both the bloodstream and at artery walls, and lowering the risk of heart disease. This tea consists of antioxidants like polyphenol, catechins, and TF-2 compound which are beneficial in killing the cancer-causing cells. regular consumption of simple black tea has been known to reduce the buildup of plaque.